Want to visit the capital of Somalia? Hotelier Bashir Osman—and his gunmen—make it possible. View from the roof of Peace Hotel 1, looking back toward Aden Adde International Airport in Mogadishu, Somalia. Photo by Tudor Clee. Used by permission. “The media talks about how Mogadishu is the most dangerous city in the world. 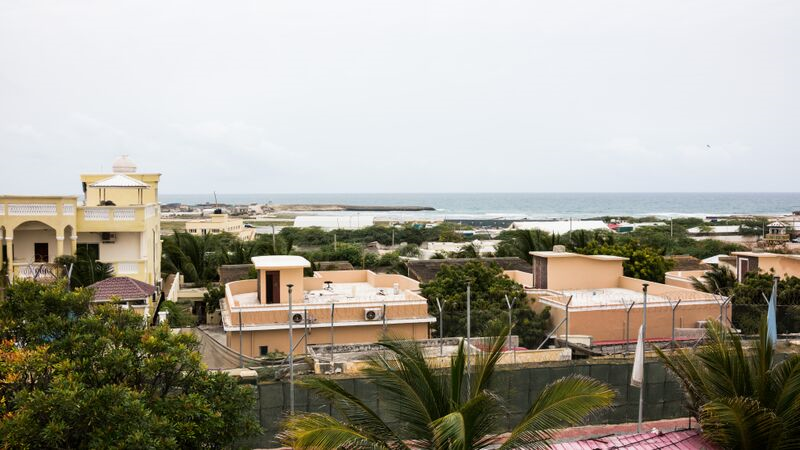 It used to be like that but now I don’t see really big danger,” says Bashir Yusuf Osman, an entrepreneur who operates the Peace Hotel in Somalia’s notorious capital city. Convincing foreigners that Mogadishu is a reasonably safe place to visit remains a tough sell, as when most westerners think of Somalia they think of one of two things: Black Hawk Down or Somali pirates. On the other hand, Osman is certainly right that things have gotten much better in Mogadishu in recent years, especially as it relates to business and commerce. Osman’s business has been growing, too. He started with a single hotel in 2005, which he dubbed Peace Hotel, realizing that “we are part of the people helping [encourage] peace in Somalia.” Today he has two additional properties—Peace Hotel 2 and Peace Hotel 3—and expects to open a five-star hotel and beach resort in the not-too-distant future. Most notable, perhaps, is that Peace Hotel caters to visitors from outside East Africa, hence the tag line: Your safe haven in Mogadishu. In addition to a room, Internet service, and two meals a day, you can pay extra for an armored car, a pickup truck, and a team of well-armed gunmen, who enable you to visit the sights, including Bakaara Market, Mogadishu’s famous central market. To get further insight into how Osman has managed to build a successful and growing hotel business in Mogadishu, I interviewed him via Skype, where he took the opportunity to relate his thoughts about the changes Mogadishu has seen in recent years, as well as the challenges of being an entrepreneur in Somalia’s capital. 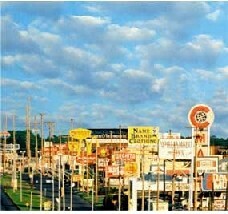 What inspired you to start the Peace Hotel? It’s a long story but I decided there was a business opportunity. Most of the foreigners who were coming to Mogadishu were journalists or contractors or diplomats who had business in Somalia. There were hotels here but their owners were older people and could not envision that there were people other than Somalis who needed to come to Somalia. And most foreigners I spoke with said their bosses [and colleagues] were not coming to Mogadishu because they couldn’t stay here or get support to have a meeting or go on site visits. At that time there was the clan militia and some war and the city was not open like now. But I started having journalists stay with me and I took them around for interviews. And slowly, slowly I got clients coming to me and I started to provide accommodations, security, pickup at the airport, and driving them whenever they had people to meet. And now you have more than one hotel in Mogadishu, correct? Peace Hotel 1 is the big one [at the Marina Gate entrance to Aden Adde airport]; Peace Hotel 2 is for journalists and also some Somalis stay at that hotel. Peace Hotel 3, in the middle of the city, is primarily for politicians and for businessmen, who stay there and have meetings. Also, I bought two-and-a-half hectares of land in a very prime area close to the airport, and that’s where I’m in the process of building a five-star hotel. And there is another project now—a 28-acre beach site for a resort on a very beautiful white sand beach. Slowly, slowly we are preparing more accommodations where tourists can stay because life is getting better here year after year. How have things changed in Mogadishu since you started Peace Hotel 1 in 2005? There’s a big difference compared to that time when there was no strong government. The situation was no hope. But with this government, luckily, the situation is different than before because life is becoming more normal. There are a lot of new businesses and a lot of people have come back from abroad. And the government is doing its best to make the situation stable. So although there are sometimes attacks and explosions, two million people live in the city, more than ever before. The people have hope and are resilient and they are trying their best to move on. They want to see Mogadishu become peaceful one day and for their businesses to continue. What kind of businesses are entrepreneurs starting in Mogadishu? Some Somalis have come back from Europe or Dubai or [elsewhere in] East Africa and they are doing whatever business they did there. For instance, nurses and doctors who have come back to Somalia have opened clinics in the city. Somalis are very good at business; they are open-minded and learn quickly. If a tourist comes to stay at Peace Hotel, what services do you offer? Accommodations are $150 full board with meals and Internet. But if you are going outside [possible in the morning or afternoon only] you need an armored car and security guys to go with you because of the security situation. We take tourists around the city; you can go to the beach and go swimming or go to the fish market or Bakaara Market, the biggest market in Mogadishu. Are you getting more and more tourists at Peace Hotel? Yes and no, it depends on the season. Most of the people who come are adventurous world travelers. If you are a tourist the best time to come is June or July as the weather is very nice and there’s very nice swimming at the beaches. As you know, in Somalia we have the longest coast in Africa. It’s very clean and very beautiful and I hope it will one day become a tourist destination. What are the biggest challenges of being an entrepreneur in Mogadishu? The biggest challenge is that you cannot get all the services you need in terms of the banking system. It can also be a challenge to buy things online or get imports from other countries, including Ethiopia, Djibouti and Kenya. And security is still a challenge; your business can be attacked and there is no insurance if something happens to you. But business people are pushing very hard to make their businesses work. The twenty-fifth anniversary of the Battle of Mogadishu came and went not long ago…. I can imagine that Americans only know Somalia for Black Hawk Down and Captain Philips and have a very bad picture of the war and piracy but Somalia is bigger than that. Somalis are not happy about what happened and are sorry about what happened but it’s not something they are thinking about. Today, I focus a lot on how to sell “Somalia is now open for business.” We want to attract more investors and more investment. And the Somali people are thinking about how they can bring back normal life. Although there are still problems the hope is bigger than those problems. Black Hawk Down and Captain Phillips was a different time. Going Out of Business Tales—Learning from inexcusable business failures. 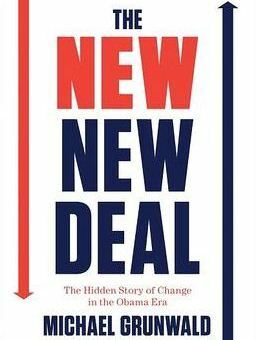 The New New Deal—The hidden story of how the Obama stimulus — the American Recovery and Reinvestment Act — has changed America for the better. 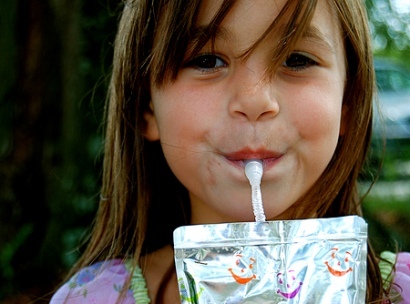 Juice Box Hero—Robert Stribling’s spill-free juice box straw.